Here's a collection of rare historical photos from Oak Ridge, Tennessee, a town established by the Army Corps of Engineers in 1942 on an isolated farm. 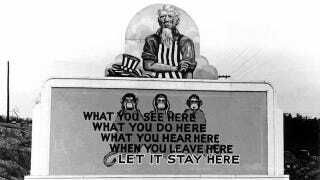 It was a secret location that became one of the most significant sites of the Manhattan Project. The whole book is available on Sparehed. The photos are from doe-oakridge, except when noted otherwise.